it's where the finest boutiques gather! Are you a ShabbyCottageShops.com member? and all OOAK custom website designs! Today?s specials include many Printable Items on Sale! to view all Printable items on Sale. Just listed, take a peek below! One Of a Kind Website Template! Matching Business Cards Print at home and uploadable! Matching Hang Tags Print at home and uploadable! list and sending out invitations marketing your new store and products! *Lay-A-Way Available! Pay a little at a time to have the design of your choice! *All Website Designs Templates are customized to reflect your business. *Sample Text is removed upon customization. Click any image below to view complete design! Vintage Photo can be replaced with your own!! SOLD #315 ?Saison De Paris - Seasons of Paris? #314 ?Paris Luxury Fleur De Lis? Beautiful French Market Vintage Floral Design! *Soft pinks against reclaimed wood, painted white! Beautiful yellow butterflies and sweet scented, pastel florals! *A delicate mix of pinks and soft blues along with open cottage roses! Fun, whimsical and sugar sweet! Shabby Chic Rose Cottage Printables! and so many more designs to choose from! 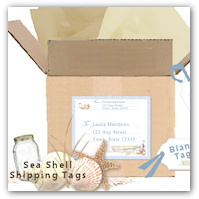 Perfect for Brides, Bridal Showers, creating wedding/bridal gifts and more! 23 different designs to choose from! Please see the Wedding Printables Section to view all the NEW Printables. Many on Sale Right Now! Just print, cut, embellish and enjoy! EXCLUSIVE OneSpringStreet designs and more!